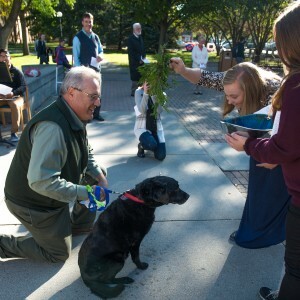 Campus Ministry is at the heart of spiritual life at Concordia, expressed in worship, faith formation, and service. Campus Ministry at Concordia consists of the Office of Ministry staff and student leaders of the Campus Ministry Commission. Campus Ministry is a full partner in the Reconciling in Christ community. All are welcome. Wondering how to get involved with Campus Ministry Commission? Ask us! The following foci of Campus Ministry at Concordia College form the core of the work of the Office of Ministry and are deeply informed by and crafted to support the partnership between the Office of Ministry and Campus Ministry Commission. In worship and spiritual disciplines, we practice our faith: we gather in community, we hear the Word of God, we experience grace, we are nurtured in faith, and we are sent out into the world to be gathered anew. In study and dialogue, we explore our faith: we ask questions, we invite others into conversation, we interpret in community, we ponder God’s Word, and we are formed, reformed, and transformed in faith. 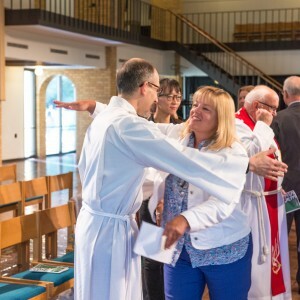 In service and responsible engagement with the world we enact our faith: we seek justice, we walk in solidarity with one another, we practice interdependence and mutuality as we listen to our neighbors, and, with our hands, we participate in God’s continuing work of restoration, reconciliation, and redemption for all creation. Informed by these foci, the Office of Ministry staff together with our Campus Ministry Commission student leaders, offer opportunities for practicing, exploring, and enacting faith through various entry points. 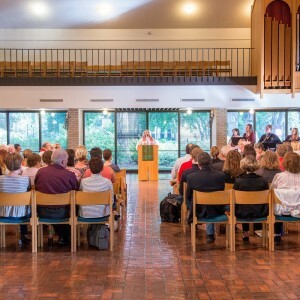 Concordia College practices interfaith cooperation because of its Lutheran dedication to prepare thoughtful and informed global citizens who foster wholeness and hope, build peace through understanding, and serve the world together.